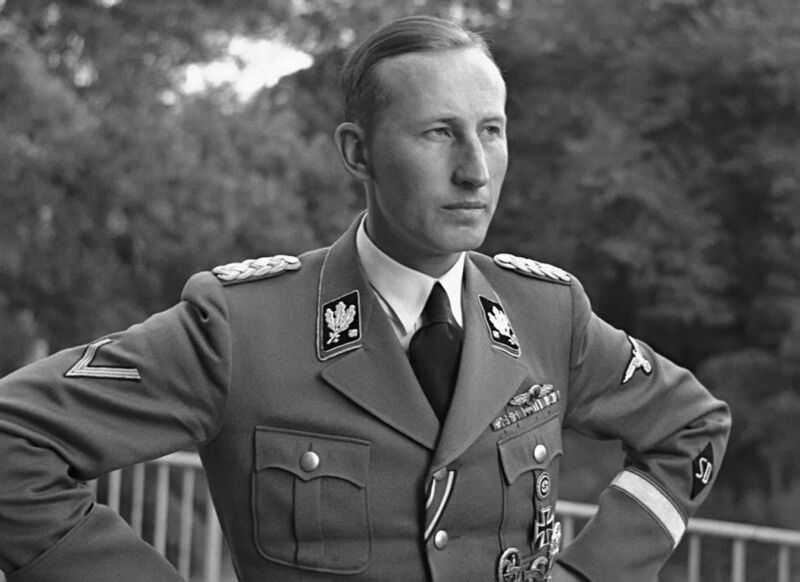 Reinhard Tristan Eugen Heydrich was a high-ranking German Nazi official during World War II, and a main architect of the Holocaust. He was an SS-Obergruppenführer und General der Polizei (Senior Group Leader and Chief of Police) as well as chief of the Reich Main Security Office (including the Gestapo, Kripo, and SD). He was also Stellvertretender Reichsprotektor (Deputy/Acting Reich-Protector) of Bohemia and Moravia, in what is now the Czech Republic. 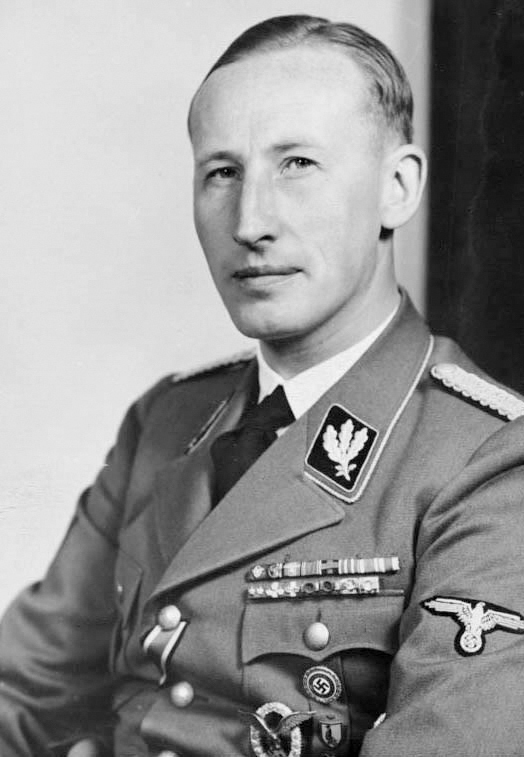 Heydrich served as president of the International Criminal Police Commission (ICPC; later known as Interpol) and chaired the January 1942 Wannsee Conference, which formalised plans for the Final Solution to the Jewish Question—the deportation and genocide of all Jews in German-occupied Europe. Many historians regard him as the darkest figure within the Nazi elite; Adolf Hitler described him as "the man with the iron heart". He was the founding head of the Sicherheitsdienst (SD), an intelligence organisation charged with seeking out and neutralising resistance to the Nazi Party via arrests, deportations, and murders. He helped organise Kristallnacht, a series of co-ordinated attacks against Jews throughout Nazi Germany and parts of Austria on 9–10 November 1938. The attacks, carried out by SA stormtroopers and civilians, presaged the Holocaust. Upon his arrival in Prague, Heydrich sought to eliminate opposition to the Nazi occupation by suppressing Czech culture and deporting and executing members of the Czech resistance. He was directly responsible for the Einsatzgruppen, the special task forces which traveled in the wake of the German armies and murdered over two million people, including 1.3 million Jews, by mass shooting and gassing. He was critically wounded in an ambush in Prague on 27 May 1942 by a British Special Operations Executive-trained team of Czech and Slovak soldiers who had been sent by the Czechoslovak government-in-exile to kill him in Operation Anthropoid. He died from his injuries a week later. Nazi intelligence falsely linked the assassins to the villages of Lidice and Ležáky. Lidice was razed to the ground; all men and boys over the age of 16 were shot, and all but a handful of its women and children were deported and killed in Nazi concentration camps. There was an amazing movie about this. Here's the trailer.